The golden mantella is a small, terrestrial frog endemic to Madagascar. 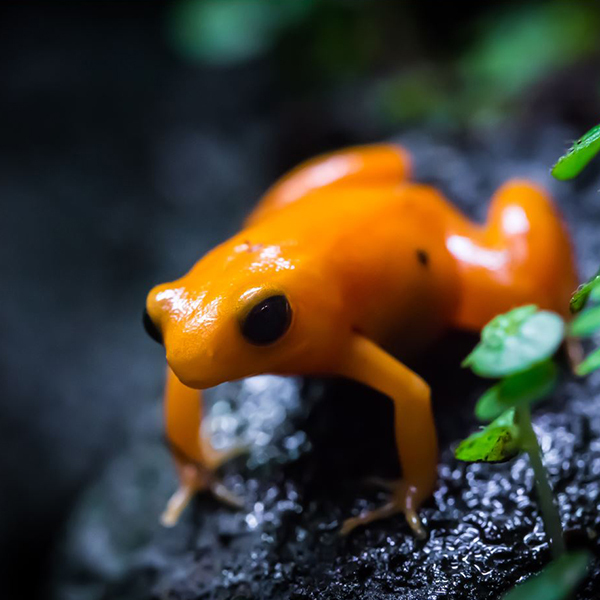 It is a uniformly yellow, orange, or red frog measuring 20–26 mm. Brightly coloured skin warns predators that the frog is poisonous.